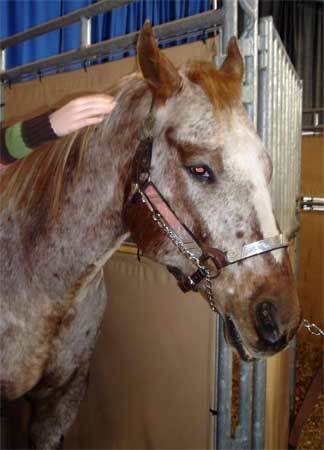 If horses could talk, he'd say: "Less petting, more carrots." Seems like I took a little break from blogging, didn’t I? Not purposeful, but deserved. 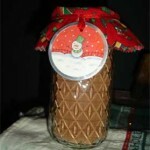 My Christmas season was busier than ever, in a good way. I made many, many pieces of custom horse hair jewelry that people in Pennsylvania, Massachusetts and Nevada are now wearing (you can view some of them over at Flickr). I also whipped up a few Christmas gifts for family and friends. 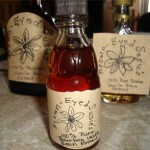 Family got bottles of the vanilla extract I’ve been working on for months. The hand-drawn labels at a special touch. Last week was c-c-c-cold here in Pennsylvania. I know that 6 degrees F is nothing compared to what folks in North Dakota and Alaska see, but for us thin-skinned types, it’s just too much. We rush inside to hunker down under fuzzy blankets and barely move. That leads to a little cabin fever. We relieved those symptoms by heading to the Pennsylvania Farm Show. The kids had a blast. Little people meeting little chickens. 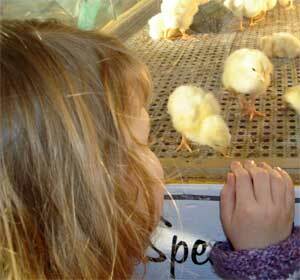 They petted horses and saw chickens hatch. 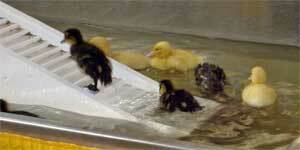 Ducklings scoot up the ramp and then slide down the other side. They watched baby ducks slide down their duck slide and saw all sorts of handmade items like Gingerbread houses and quilts and honey. We even saw a tractor square dance. I’m not a vehicle aficionado (I like that things with wheels get me places faster and that’s about as far as I my love goes), but I was very impressed with their precision tractor driving. It was worth seeing. We also visited “our farm” last week and signed up for our CSA (community sustained agriculture). All this agri-minded-ness has me thinking about spring and wanting to buy seeds and flower. We still have a long way to go until Spring, but one can dream! Who says life is boring if it’s vanilla. Frankly, vanilla is a pretty nice flavor. So I decided to make my own. 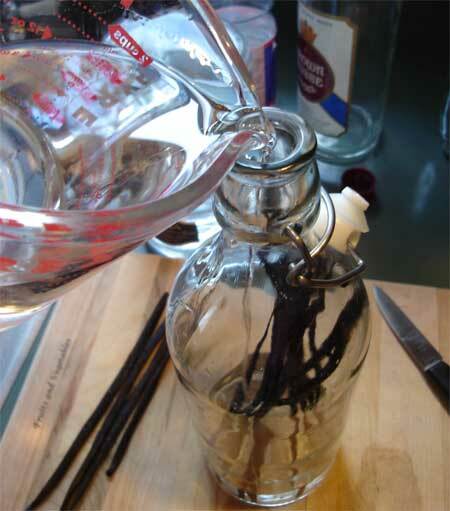 A few friends went in on bulk vanilla bean buy a few weeks ago, and I finally got around to making my vanilla extract. Here’s how you do it. 1. 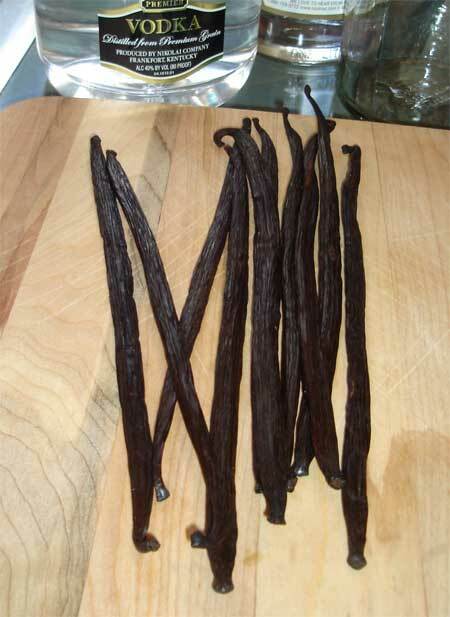 Start with some good Bourbon Vanilla Beans. 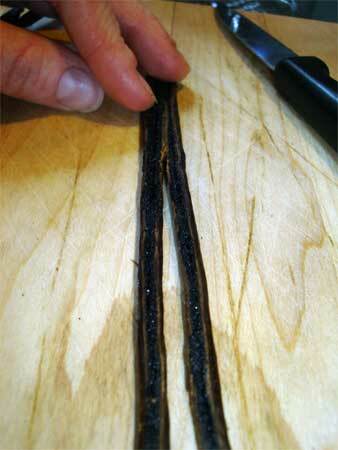 You can also use Tahitian Vanilla Beans or whatever else you can get your hands on. Too bad they don’t have Smell-o-blogs so I could give you a whiff of how great my kitchen smelled today. 2. Split the beans down the middle with a knife, except for the last inch so they stay intact. All those moist seeds inside, plus the outer pod, are what make the yummy vanilla taste. 3. Pour vodka into the bottle with the beans at a ratio of 6 beans to two cups of vodka. Hedge suggested adding a tablespoon of rum to make it a tad sweeter. You can also use brandy or rum instead of the vodka. Remember, all extracts retain their flavor because they’re preserved in alcohol. 4. 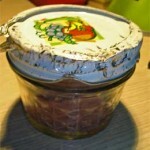 Cap off and store in a dark place for 6 to 8 weeks. The darker the liquid, the strong the vanilla taste. Just a few hours after I bottled the vanilla it was the color of weak tea. There’s a batch of chocolate chips make with this extract waiting for me in mid-June (if I can wait that long). This really is as easy as it sounds, which probably leaves you wondering, “Why haven’t I tried this?” A bottle of vanilla can be pricey. And so can the beans. A local grocery store sells beans for about $5 for a package of 2. Find a good place online to order in bulk, and you can get beans for less than a dollar a piece. 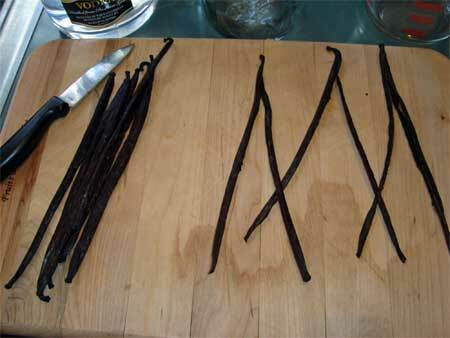 Keep in mind that a pound of vanilla beans equals about 100 pods, so sharing is good. By the way, this bottle held a double batch of 4 cups of vodka and 12 beans. If you don’t put in enough beans, you end up with vanilla vodka instead of vanilla extract. Either way, you win!